Who doesn’t want to own an intricately decorated home? Everybody does, of course! 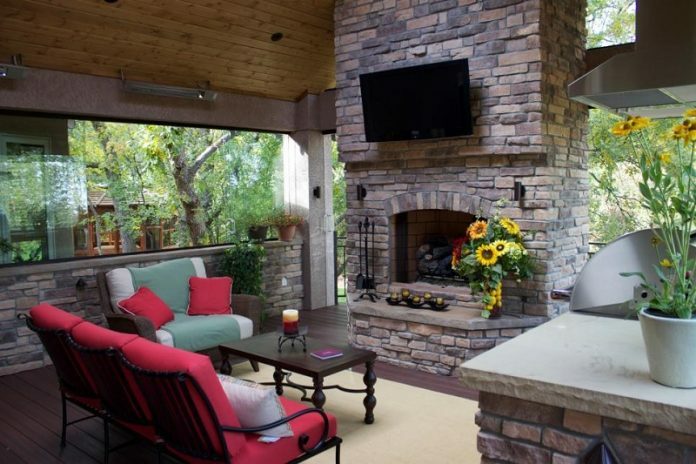 Your home is where you live, raise your family, and entertain your relatives and friends. Thus, you want it to be always beautiful and pleasing. But decorating your house could really be expensive. 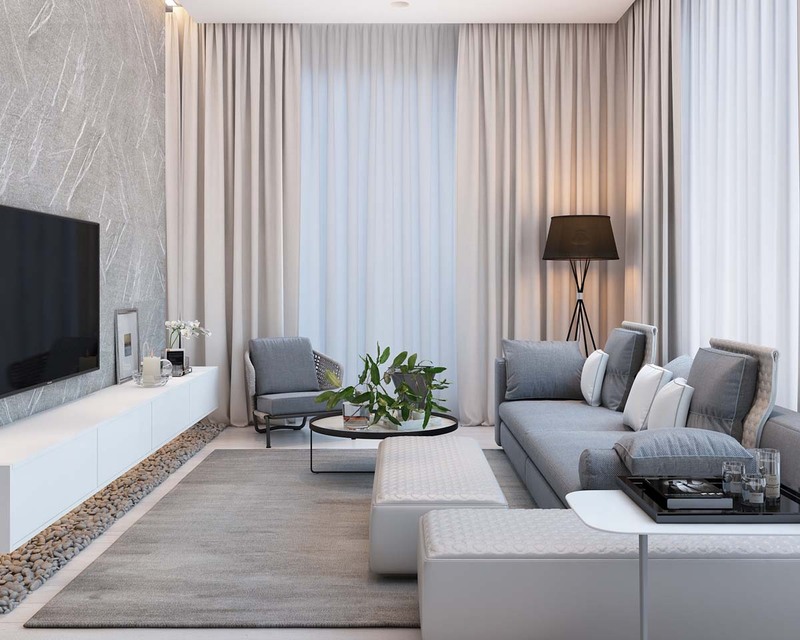 Hiring an interior designer, buying high-end furniture and artworks, renovating your living room, are the options you cannot take because of their luxurious costs. 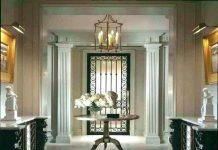 You may think that you cannot improve the aesthetics of your home if you do not have a big budget or savings. Fortunately, there are other means for you to achieve your home decoration goals without breaking your bank account. You just have to be resourceful and use your imagination. DIY is an excellent alternative for your home décor projects if you want them to be low-cost. There are many DIYs that are easy to do, even for inexperienced and decorator wannabes. 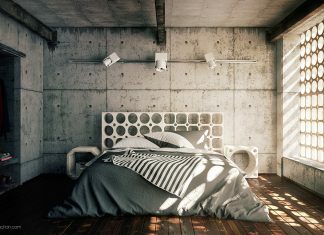 These project inspirations may be cheap but their beautiful outcome can make your visitors wonder how you did it without the help of an expert. You can also tweak some of the DIYs to add your personal touch and call it really call it your own. You can now start your home decoration projects without having to spend thousands of money. Enjoy the list and don’t forget to have fun with it! You probably see chalkboards in restaurants as menu boards or as bulletin boards. 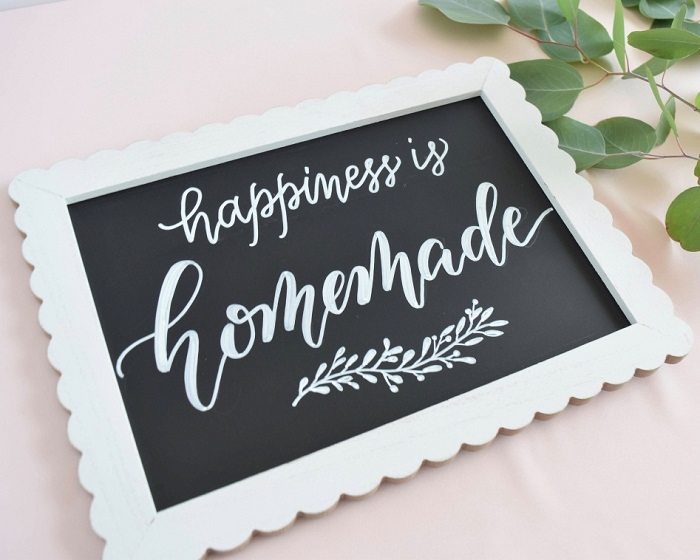 But chalkboards can also be used as a decoration at home. These are great for your kitchen or for your children’s room. Using different colors of chalks could add color to the room. There are also boards that are magnetic wherein you can put alphabet or souvenir magnets. There are different ways that you can play with it and be creative. 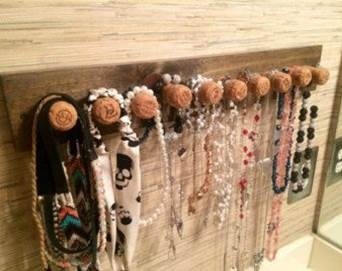 If you want a unique but cheap idea for your jewelry rack, why not use a wine cork as a necklace rack? You can style the corks with colors and display them in your room for your friends to see during sleepovers. 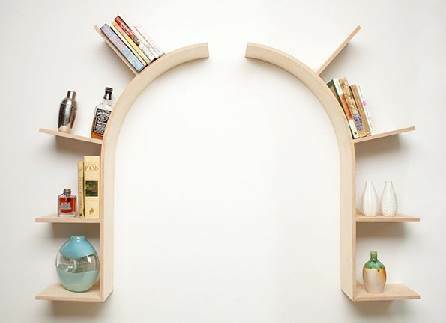 One way of decorating a wall without having to buy a costly painting is to create a floating bookshelf. It will not only give you a way to show off your novel collections but also create an eye-catching illusion that will make your visitors take a second look. 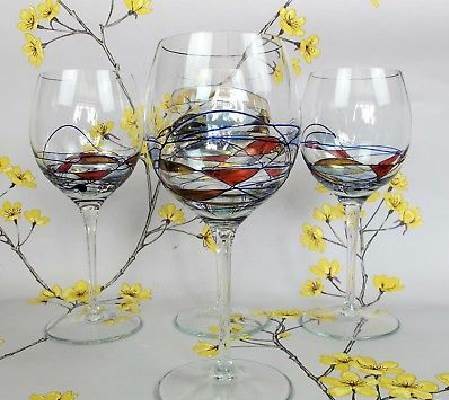 Used wine or soda glasses can be used as flower vases. But why settle with that, why not collect bottles in different sizes and shapes, paint them in ombre, and make your vases more appealing? To add more beauty to your vases, learn the best flowering plants you can use to decorate at home (Ideas to Decorate Your Home with the Best Flowering Plants). On the other hand, if you want to add some luxury to your home, use a metallic gold paint and spray them on your flower pots. Your family and friends will surely admire this exquisite décor in your home. 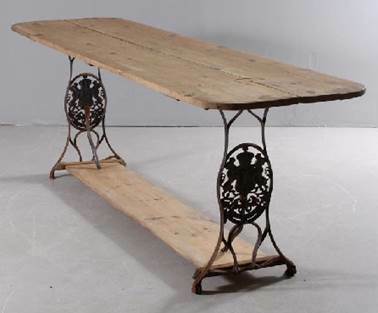 Thinking of a centerpiece that could best fit your living room table is sometimes frustrating. You want it different but stylish. 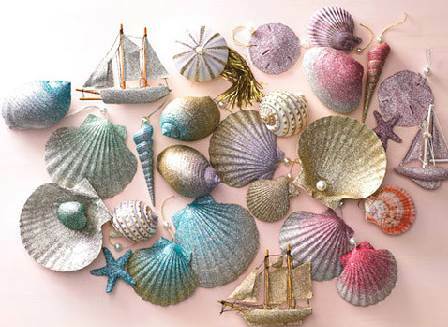 Try using some seashells with gold glitters on the edges as a candle holder. Unique but very sophisticated. An old table can be transformed into a classic nightstand. Just cut it in half, choose a color to paint on it, and place it against your bedroom wall. If you are a plant lover and prefer the greens as decoration in your home, you can use cracked eggshells as seed starters. It will not only be earth-friendly but adorable too. 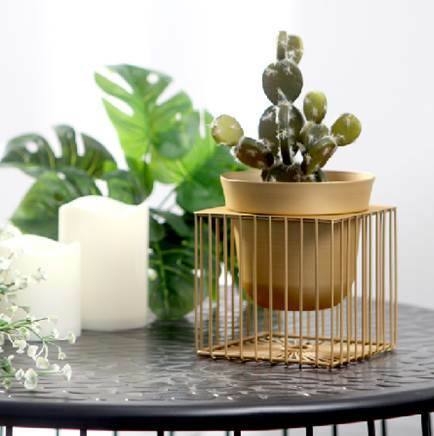 You can learn more indoor plants decoration ideas and guidelines in Roohome’s Indoor Plants Inspiration for your Apartment Decorating Idea. 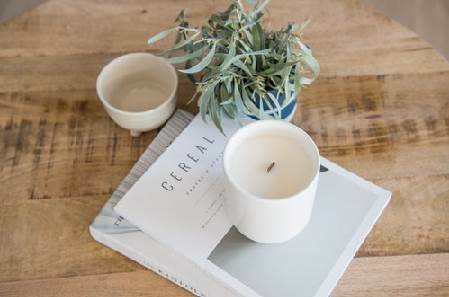 Matching teacups can be used as fancy candle holders. Just fill the cup with wax and you can create an ornamental design to your living room. How beautiful would it be using vintage teacups? Another budget-wise wall décor is a personalized handwritten canvas. You can choose your own font and hang your favorite quote or song lyric for everyone to see and appreciate. To make a mosaic mirror, use broken CDs and place it on the mirror’s frame. Make it more appealing by using CDs with different colors. Bookworms can have their own stylish reading nook by using a curved curtain rod and some low-cost curtains. Reading can be fabulous too! Ref magnets are not the only souvenirs from your vacation that you can use as decorations. Why not use a jar to package up your souvenirs every time you go on a trip? Sand-filled jars from the beach, rock-filled jars from the mountain, this will make a memory-filled shelf display indeed! Make your utensils colorful by hand painting them with a bright, cheery color. Just be careful not to paint the portion that will touch the food. Fancy converting your room into a vintage one? Use some old and classic suitcases as storage bins to add a retro flair to your room. Another eye-catcher design that can be used by the plants’ lover is an over-the-door shoe holder turned into a pocket her garden. Neighbors will surely envy your herb collections! Doesn’t want to use the red and gold trays for Christmas? Get a white tray and use peppermint candies to decorate it along with your candles. Looks great and tastes delicious too! Read some Christmas décor inspirations from Bring the Christmas Joy into Our Living Room. 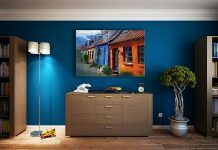 Is photography your hobby and you just have too many good pictures to hang on your wall? Visit the nearest thrift store and find yourself different sizes of frames and cheap wall decors to create a monogram-filled display. Mason jar is the favorite DIY materials of many. You can also add this to your home décor list by using it as a soap or lotion dispenser in your bathroom or kitchen counter. Chic and elegant, isn’t it? If your father or husband has too many liquors at home, you can turn one into a lamp which he can use while having an after-dinner drink with you or his friends. Vodka, whiskey, what’s his favorite? Your classic brooches can add style to your door or wall by mounting it on a framed linen. Your girlfriends will surely ask how you’ve done it. Sarah Grace Del Rosario is a blogger from HouseBuyFast. Aside from sharing her musings in the online world, she is also a full-time event planner and stylist at Del Rosario Events and Photography.